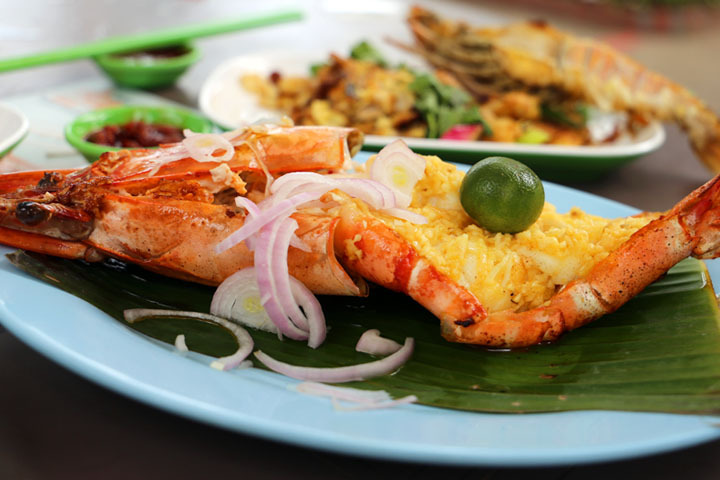 A popular way for locals to spend lazy weekends in Singapore is to head for a fresh seafood lunch at East Coast Village followed by a stroll along the beach. Visiting East Coast has been on my list of things to do for quite some time since moving to Singapore and honestly I felt like it was a daunting task. 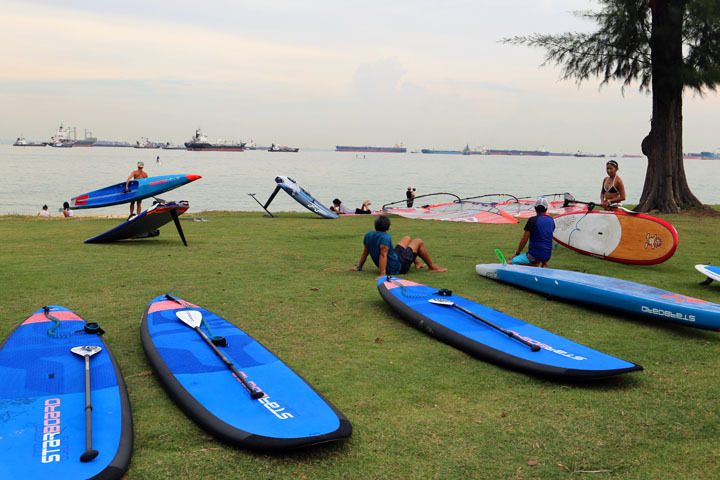 East Coast is not so easy to access as there is no MRT station or major bus depot, and the area is quite huge by Singaporean standards and densely populated with residential buildings, eateries and shops. However when I finally made it here I enjoyed an addictive combo of eating, walking and inhaling the fresh sea air. If you want to experience that great, fresh seafood lunch everyone talks about then skip the restaurants and head straight for the East Coast Lagoon Food Village. Locals rate this as one of the best hawker centres in Singapore because of its outdoor seating and sea views. Although in my experience, you really do pay for those views as the food is not as good value for money as you would normally expect from a Singapore hawker centre. 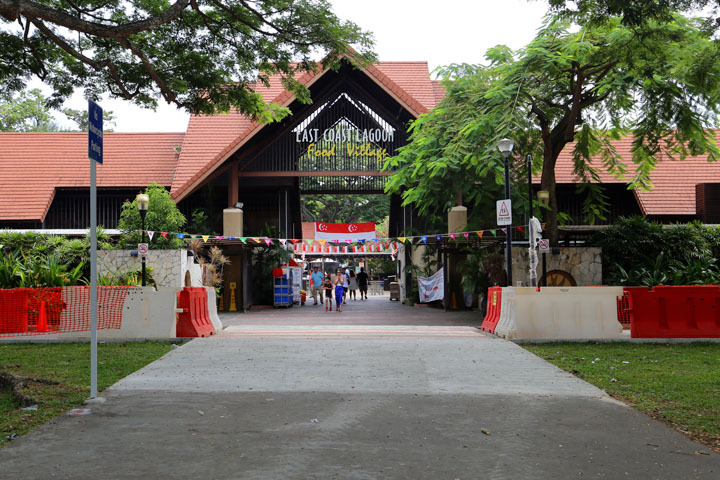 There are dozens of stalls at the East Coast Lagoon Food Village. 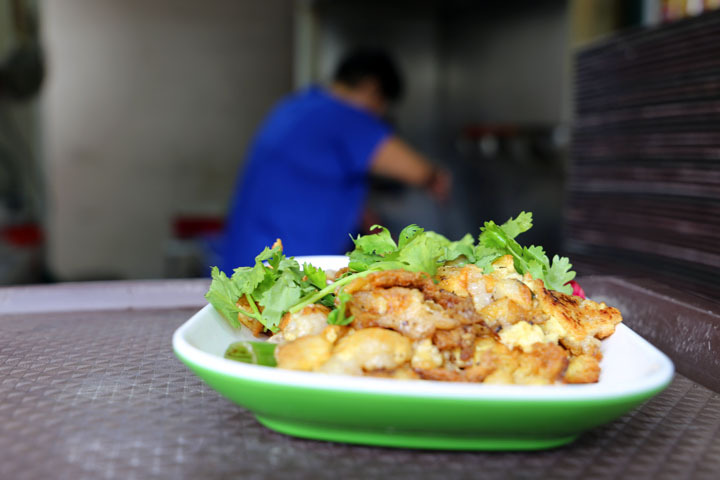 Most are selling live seafood cooked to order, but there are also a number of stalls selling classic local dishes. We decided to order our seafood from the BBQ Seafood Kitchen, which is stall 4 because we could see the fresh seafood on display. That stall also had the longest queue and in Singapore, the size of queue is usually a pretty reliable way to judge the quality of food. BBQ Seafood Kitchen specialise in prawns so we ordered the biggest fresh prawn to share, cooked according to the chef’s recommendation. We also ordered one bug… well, it looked similar to the Mortan Bay bugs you get in Australia and we were assured they were super fresh and highly delectable. Both items cost us approximately $30 and were enough protein for two people to share. The flesh was succulent but I was disappointed by how they were cooked. Both were steamed in an abundance of chopped garlic and garnished with raw red onion. No soy sauce, no salt, pepper, no chilli and no other seasonings were used. As a result, although they tasted fresh they also tasted very plain and left us with terrifying garlic breath. To accompany our seafood we ordered some local side dishes from stall number 12. We got an oyster omelette and a portion of fried kway teow. The old aunty running the stall cooked the dishes right in front of my eyes in a giant wok and it was impressive to watch her work so quickly. However the dishes were not as good as the quality I am used to at my local hawker centre. The oyster omelette contained only five oysters for $5 and the egg was fried in too much oil, it tasted crispy rather than soft. 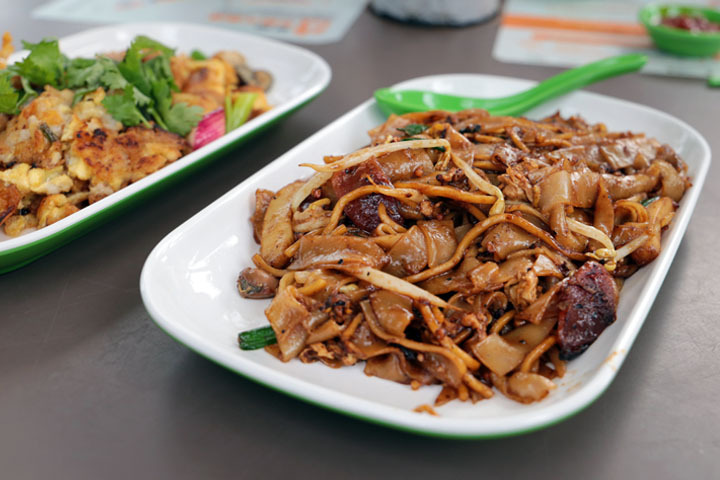 I didn’t mind the fried kway teow as the quality of the noodle was good and the sauce was tasty. However the amount of cockles and sausage stir fried with the noodle was a little on the stingy side. But then again, the dish only cost $5. 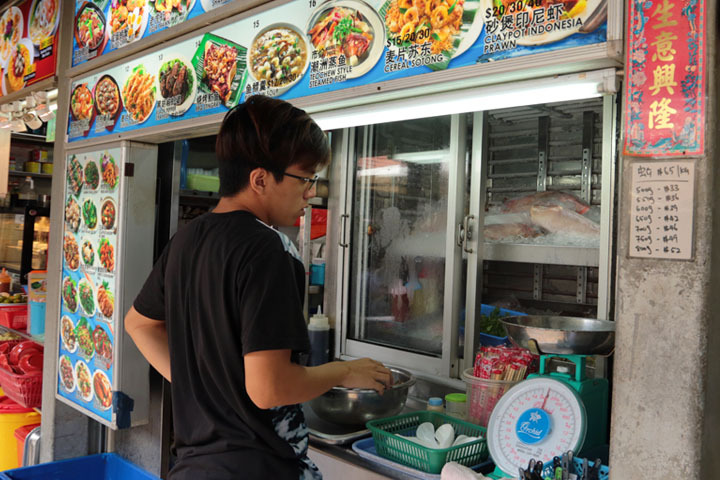 Whilst the food was average and more expensive than usual hawker fare, I have to say it was really enjoyable to be able to eat our meal outside and enjoy the calming sea breezes. Foreigners may find this hard to understand, but because of the humidity of Singapore it is not always possible to enjoy a meal outside. Here it was perfect. The best way to finish off a big lunch is to stretch out the muscles and go for a walk. There is a long walking path alongside the beach that extends several kilometres from the East Coast Lagoon Food Village. We spent two hours walking all the way to Geylang and enjoyed a lot of activity-packed scenes along the way. People walking their dog, going for a swim, having a picnic and flying a kite. East Coast is also a popular place to go for Stand Up Paddling (SUP) and we were lucky enough to watch a group of first-timers head out to sea and fall off their boards, ha ha ha. Despite the average food, I can definitely say visits to East Coast will become a regular fixture of my weekend routines. What better way to spend a lazy Sunday then by combining a fresh seafood lunch with fresh air and outdoor activity? Perfect. 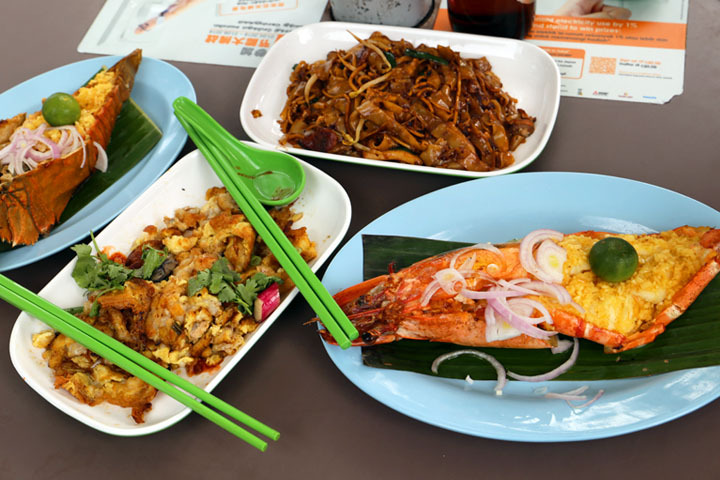 If you are new to Singapore I am sure you will quickly get addicted to this experience as well.